FORT BRAGG, N.C. - Standing on Fort Bragg's Sicily Drop Zone, Col. Mark Collins took the lead and removed his Army patrol cap and replaced it with a maroon beret. 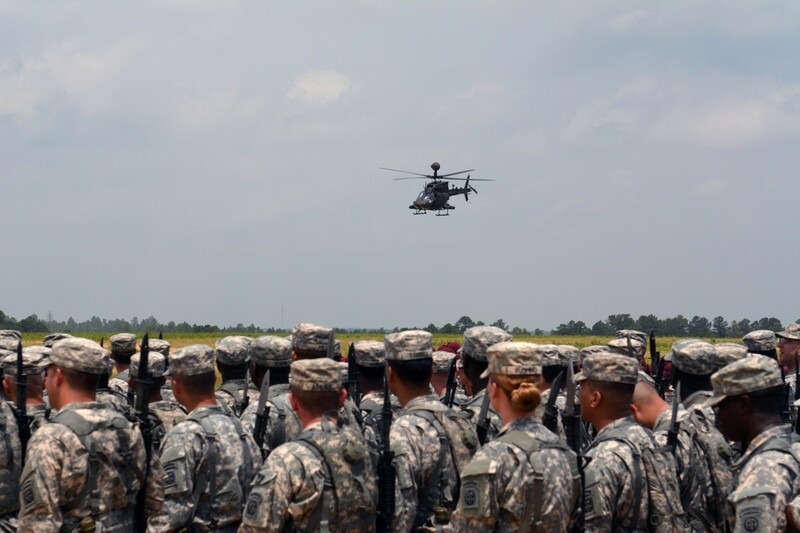 Behind him, a formation of 82nd Sustainment Brigade Soldiers followed suit. Their shoulder sleeve insignias were replaced earlier that day, removed and switched for the iconic "double A" and airborne tab of the 82nd Airborne division, May 21, 2015. Surrounded by 5,000 division paratroopers in front of Veterans, families and community members during the All American Week 2015 Airborne Review, the brigade officially became the 82nd Abn. Div. Sustainment Brigade. Collins, the brigade commander, had come full circle. 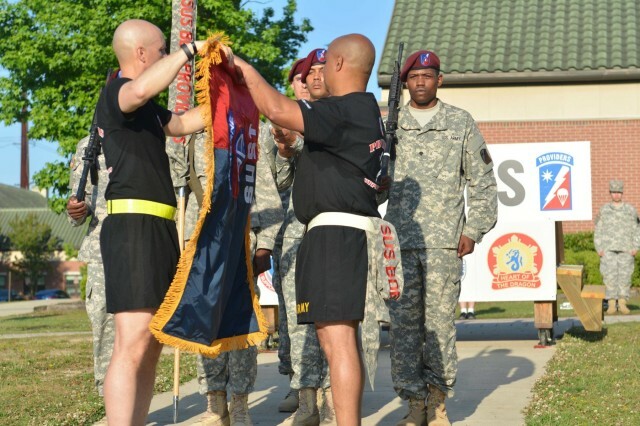 Beginning his Army officer career in the 82nd Airborne Division Support Command as a second lieutenant, he was now leading the brigade during its transition back to the 82nd Abn. Div. "I'd like to think I was put on the successful path of being an officer that was selected to command a brigade because I started out as a second lieutenant in the 82nd Abe. Div.," he said. "That's where I learned how to be an officer. That good foundation in such a great unit, in a lot of ways, is why I'm sitting where I am today." 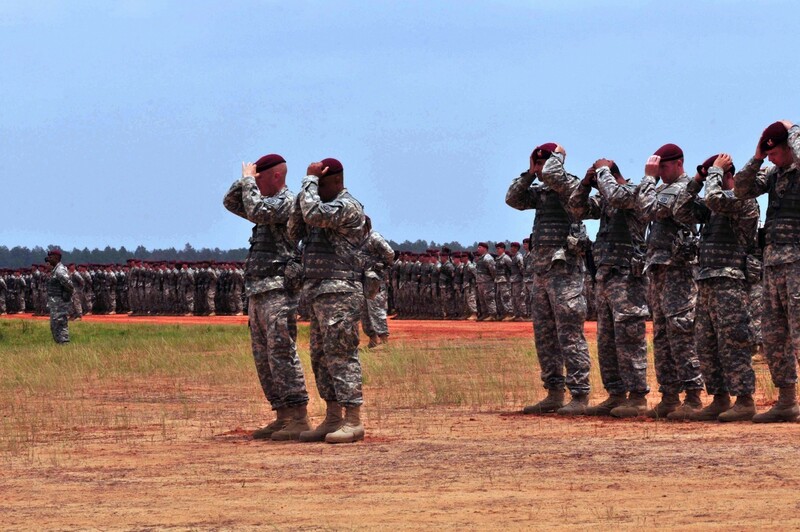 The brigade began as the 82nd Support Group, which was constituted on Fort Bragg in 1957 and composed of units with long histories with the 82nd Abn. Div. dating back to World Wars I and II. In 1964 the unit was reorganized as the 82nd Division Support Command. As the DISCOM, the unit deployed with the 82nd Abn. Div. to the Dominican Republic in support of Operation Power Pack; the Caribbean to support combat operations in Grenada during Operation Urgent Fury; Panama to support Operation Just Cause; Southwest Asia during Operations Desert Shield and Desert Storm; and Iraq during Operation Iraqi Freedom. After supporting security and search and rescue missions in response to Hurricane Katrina in 2005, in 2006 the unit transformed to the 82nd Sustainment Brigade and deployed for 15 months of sustained joint and coalition forces operations in southern Iraq. While detached from the 82nd Abn. Div. between 2008 and 2015, the brigade generated sustainment capabilities for Operation Enduring Freedom, Operation New Dawn and Operation Unified Response. When Collins returned to the unit in 2013 as the brigade commander, he prepared the brigade to deploy once again to Afghanistan, this time in support of Operation Enduring Freedom as the headquarters for the U.S. Central Command Material Recovery Element. Now, transitioning back to where it all began, Collins sees the brigade being able to provide better sustainment support to the division as a whole. "It reestablishes those really close ties through a command relationship that we've really tried to maintain, even after the brigade left the division," said Collins. "I think we did a pretty good job of maintaining it, but now it really gives the division control over its sustainment war-fighting function." "Sustaining the paratrooper is our focus and it's been our focus since this brigade came into existence as the 82nd Support Group," he added. Once again part of division, Collins said the brigade will continue to integrate into the role as the sustainment mission command headquarters at the brigade level for the Global Response Force. "We have a tough mission; this is the leading edge of American combat power when the U.S. needs something done in a short amount of time. That's true not just for our combat arms brothers but also for our sustainment forces as well," he said. "We have great Soldiers and when they are well led they can do anything." Although Collins will leave the brigade when he relinquishes command at the end of the month, he envisions a bright future for the unit under the 82nd Abn. Div. "Our Soldiers will become that much stronger because we are tied in heritage and name back to the unit that says excellence in our army," said Collins. 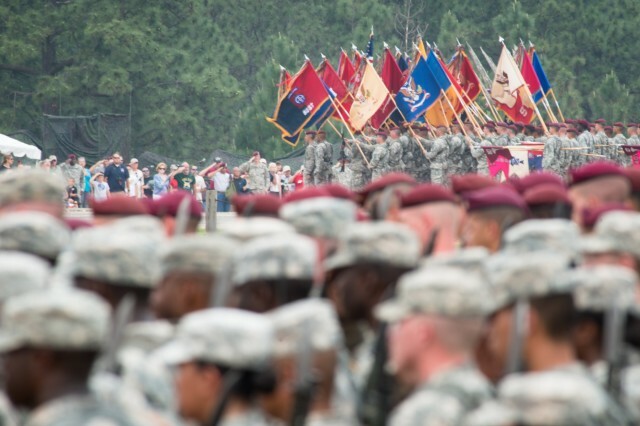 "When America wants to make a statement they send their very best, they send the 82nd Abn. Div. It's very good to be back on the All American team."